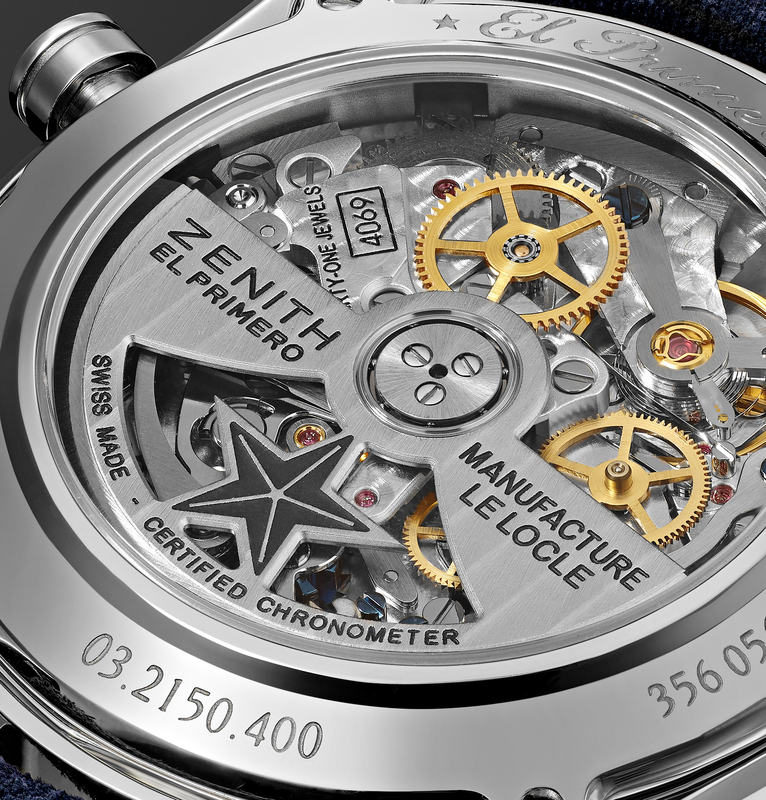 Renowned for their unique and dynamic designs, Zenith is soaring into the stratospheres of the luxury watch universe. This is a brand that exists to challenge, dare, follow and pioneer the pursuits of those who push the boundaries of possibility. 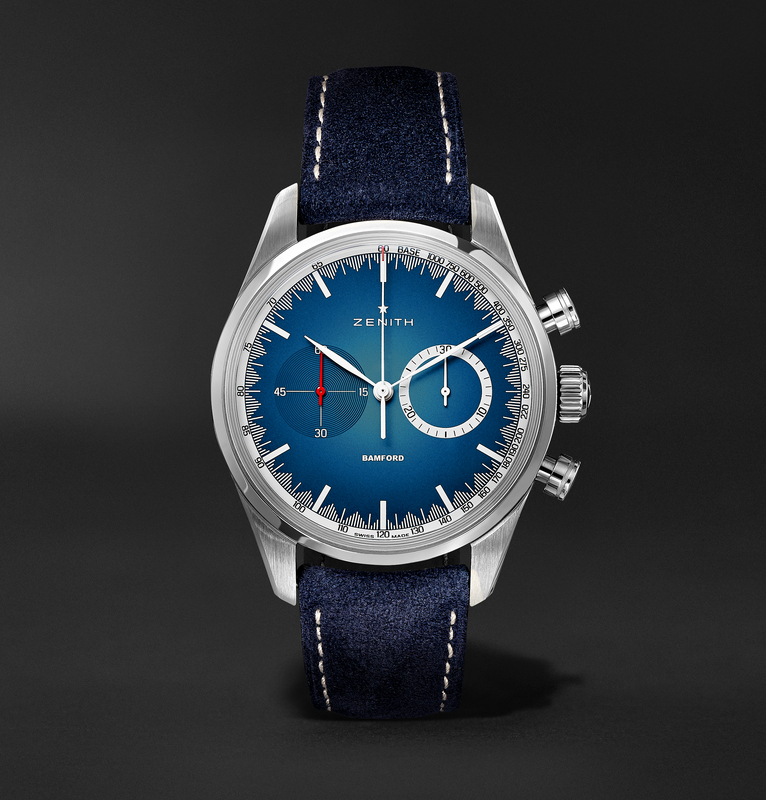 Inspired by such iconic missions as Felix Baumgartner’s Stratos sky-dive, Zenith has made its own mark on history. The El Primero calibre was the first integrated automatic chronograph movement beating at a frequency of 36,000 vibrations per hour. This is a brand that truly believes that for every goal achieved, there is another to work towards and this is what the watches reflect. 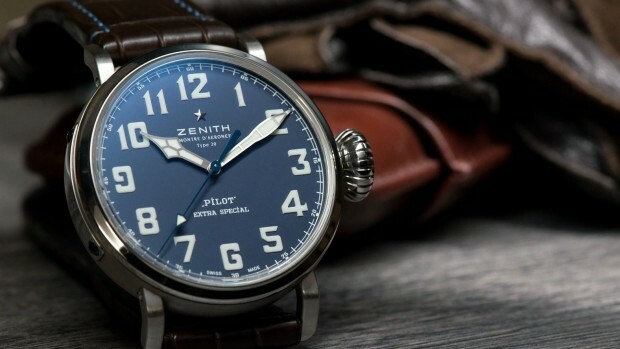 And now Zenith is marking an exciting collaboration with prestigious British luxury watch retailer, The Watch Gallery, bei the exclusive unveiling of the Zenith Pilot Extra Special, a 35-piece limited edition pilot’s watch recognised for its oversized onion crown and striking vintage Arabic numerals. Zenith, which has a relationship with aviation that goes back to the early days of heavier-than-air flight, remains the only Swiss watch brand with a licence to print the word “pilot” on a watch dial. 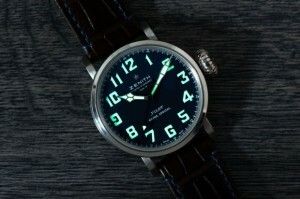 Powered by one of the brand’s suite of highly accurate in-house Elite Calibre 679 automatic movements and featuring hour, minute and central seconds hand, a minimum 50-hour power reserve as well as Arabic numerals shaped entirely from Super-LumiNova, the 45mm Zenith Pilot Extra Special with stainless steel case and crown offers a number of exclusive bespoke features in The Watch Gallery’s signature blue. These include a blue dial, blue stitching on the brown alligator leather strap and engraving on the case-back – thus clearly identifying the link to The Watch Gallery and the limited edition number. 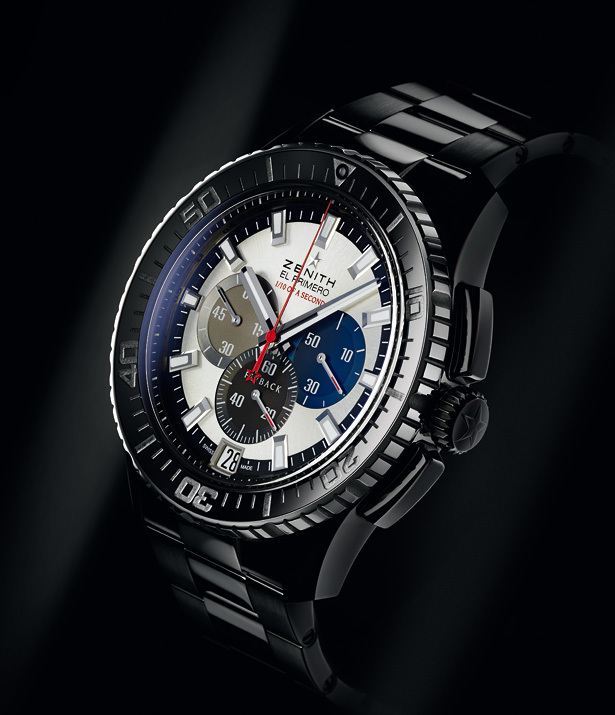 Wearing the Zenith El Primero Stratos, Felix Baumgartner jumped out of a capsule suspended from a balloon in the stratosphere at an altitude of more than 39 km last summer. 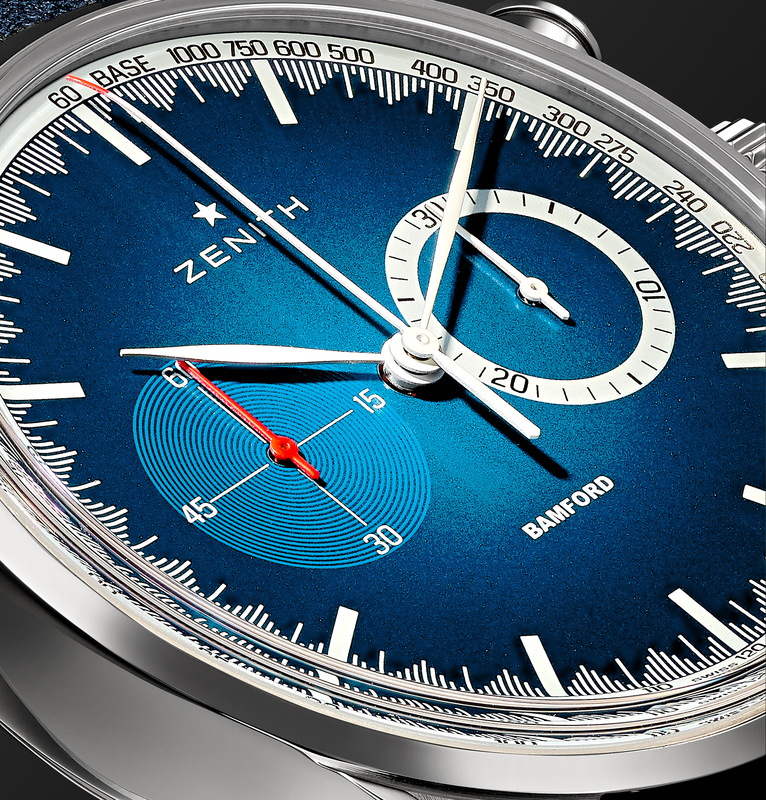 The chronograph Baumgartner was wearing is actually available for anyone to buy. The stainless steel case displays Baumgartner’s motto, “Learn to love what you have been taught to fear.” The dial is protected by a nostalgically domed version of the second-hardest substance known to man: sapphire crystal. The automatic movement powers a flyback chronograph, which means that timing intervals can be reset without having to first start and stop—a necessary function when the short amount of time at one’s disposal under duress can mean the difference between life and death. 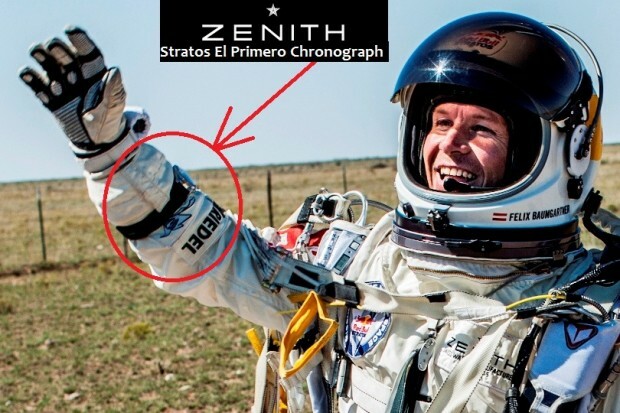 The fact that one of Zenith’s timepieces was the first to break the sound barrier in a near space environment with Felix Baumgartner once again proves the brands reliability under extreme conditions.